I remember anxiously waiting for Christmas as a child. I was waiting to decorate for Christmas, waiting to eat Christmas cookies and have hot chocolate, waiting for Christmas break, and waiting to open the gifts wrapped under the tree. Perhaps that’s why Christmas day often felt like a letdown. I had been waiting for Christmas day for a year, and once it came, I felt disappointed. As I grew older, I wanted a way to prepare my heart for the true gift of Christmas. I kept hearing about the celebration of Advent, but I knew nothing about it. 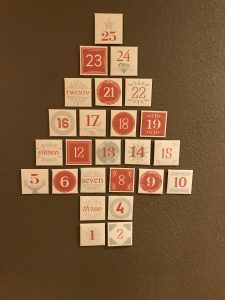 As I researched it, I was overwhelmed with the variety of ways advent can be celebrated. 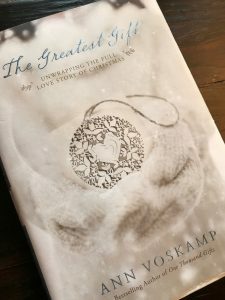 That was when I found Ann Voskamp’s book “The Greatest Gift”. She had daily readings and ornaments that corresponded with each day. She suggested having a separate “Jesse” tree where you hang your ornaments each day. 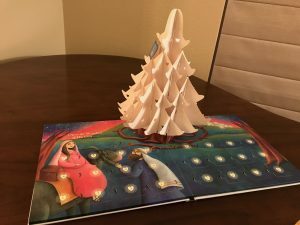 The book and ornaments encouraged me to take notice of each day leading up to Christmas. I found myself intentionally slowing down during the Christmas season to prepare my heart to celebrate Christ’s birth. After my personal experience with Advent, I wanted to celebrate it with my family. 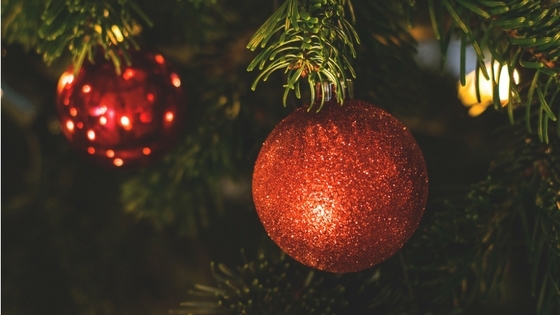 The following year, Ann Voskamp wrote Unwrapping the Greatest Gift. This book was designed to be read with the whole family. My kids were 3 and 6 months at the time, and the daily lessons were long and difficult for them to understand. But they loved the idea of coloring the ornament coloring pages. Even though they were likely not learning anything, at least they were getting used to the advent tradition. 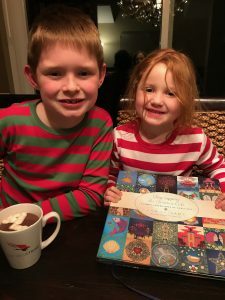 The tradition has continued in our family since 2014, and though my kids still struggle to listen to the lesson, they have enjoyed the first night of advent party, coloring the ornaments and lighting the advent candles. 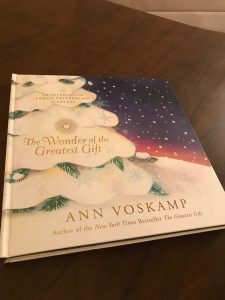 This year, Ann came out with her latest edition of the advent series titled, The Wonder of the Greatest Gift. This book comes with a miniature version of the Jesse Tree along with miniature ornaments tucked behind windows for every day in December. The book has abbreviated versions of the daily lessons found in Unwrapping the Greatest Gift. These lessons are much shorter in length and the wording is more kid friendly. I still printed out the daily envelopes with pictures of the ornaments that the kids can color. The combination of the new book and the coloring pages, has been a great combination for my family. I want the tradition of Advent to remind myself and the kids of the enormity of Christ’s birth. I want us to remember that Christ’s birth was the ultimate love story . Like our kids, many of us are in a season of waiting this Christmas, though instead of waiting for Christmas gifts, we are waiting for adult things. 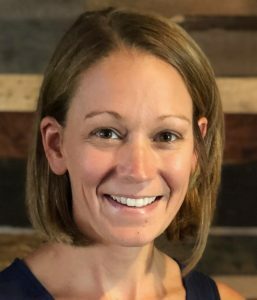 Some of us are waiting to build a family of our own, waiting for God to fill the hole left by the death of a loved one, waiting to buy a house, waiting to find and marry your spouse, waiting to start a new job, waiting for healing, or waiting to step into the calling God placed in your heart. I want the tradition of Advent to encourage us to remember how God fulfilled the ultimate season of waiting between the fall of man and the fulfillment of the Messiah. That as we wait for the celebration of Christ’s birth, we can remember God’s perfect provision of a Savior that was born so he could die for us. God sees you as you wait. He sees your anxiety, your pain, your longing, your sorrow, your excitement. He sees your full array of emotions, and this Christmas He wants you to know that He has not forgotten you. You are not invisible to Him. Just as He provided us with a perfect Savior so many Christmases ago, He continues to provide us access to that Savior through His Holy Spirit. Come to Him this Christmas with your brokenness and your weary heart. Your heavenly Father wants to wrap His arms around you and give you the ultimate gift. He wants to walk in relationship with you this Christmas. Whether you celebrate Advent or not, I encourage you to position yourself to see God this Christmas. His arms are open and waiting for you. Come before Him, tell Him what you are waiting on, and let Him hold you during this season of waiting. If you do, you will not be disappointed this Christmas.